My husband and I are not natives of the Pacific NW, we’re originally from the Midwest, but in the ten years that we have made this region our home, we have fully embraced it and truly appreciate what it has to offer. 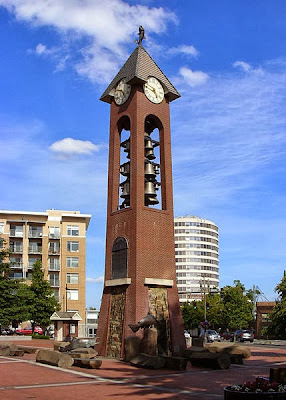 We live in Vancouver WA, which is the oldest city in Washington state, so it has an interesting history to go along with that distinction. We have at times been confused with the other Vancouver, in B.C., but we have our own identity and are also referred to as the Couve. compared to a larger city such as Portland. We do enjoy having Portland close by to visit. There are many wonderful attractions there.We have the same beautiful views of the mountains, such as Mt. Hood, gorgeous scenery and attractions, such as Salmon Run Tower in Esther Short Park. In addition we also have great shopping, dining and less traffic congestion. It can also get quite soggy here during the rainy season, but it does keep everything green including our beautiful lush forests. If you are interested in finding out about our city from a historical perspective then you should visit our Vancouver website. One of our hidden treasures is the Vancouver Historic Reserve. 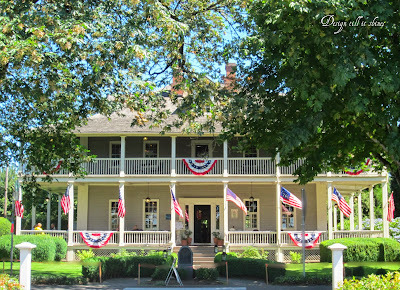 Dine at the beautiful Grant House and explore the grounds of this scenic area. 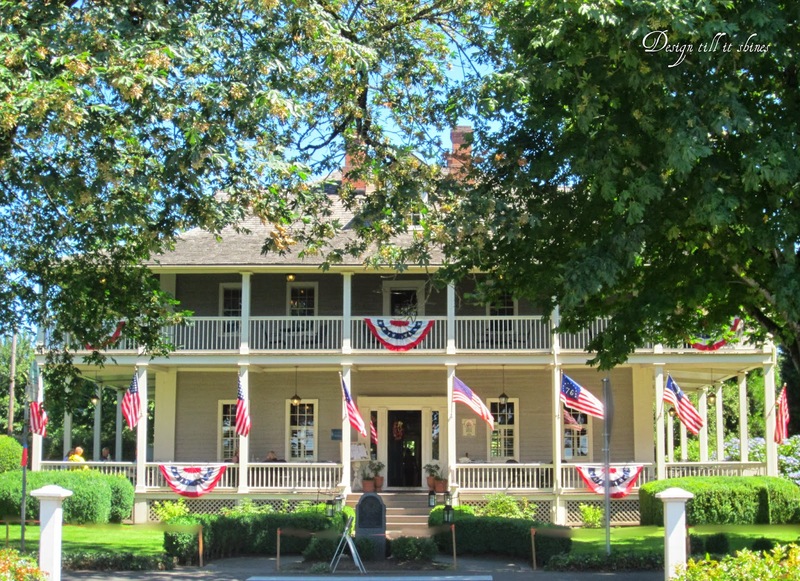 It has beautiful well kept historical buildings that date back to the civil war, as well as military barracks and Fort Vancouver. You can discover more on their site and I posted about the Reserve in a previous post, so visit here as well. If you're interested in airplane history, stop by Pearson Air Museum to see their latest exhibits. 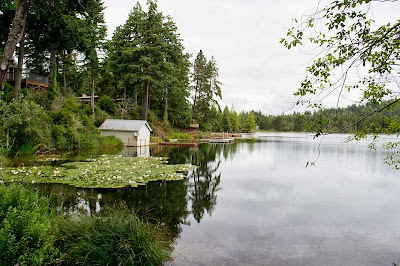 About 40 miles north of Vancouver is the small town of Longview, which is well worth a visit as well. 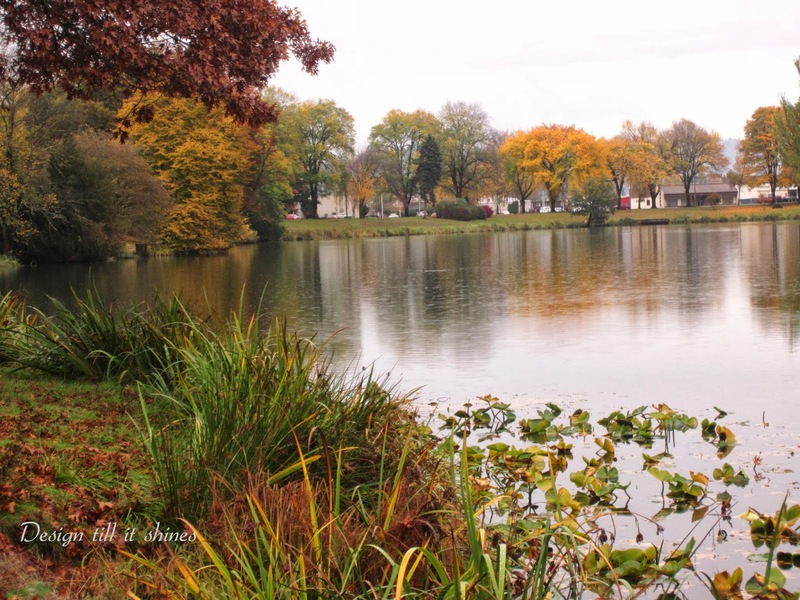 It is often overlooked partly because of its size, but it has the most beautiful lake with a park like setting. 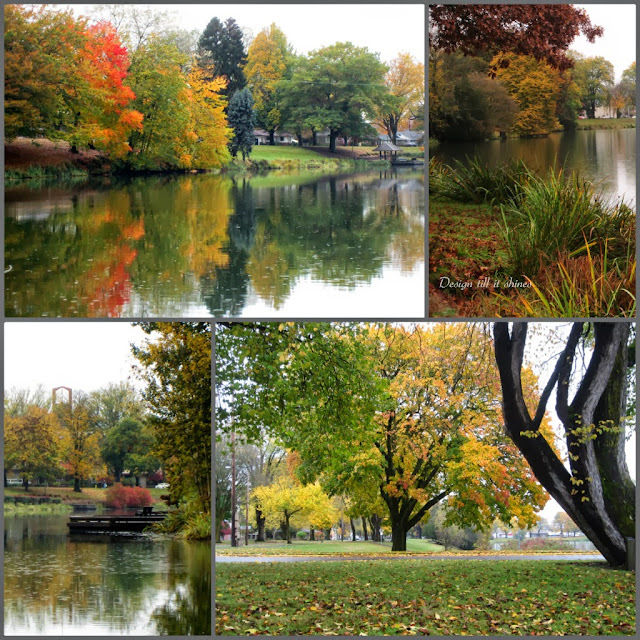 Lake Sacajawea is surrounded by lovely old trees and historic homes and is so lovely in the fall. There is also a lovely Japanese Garden located in the park as well. If you would like to see my previous post of this area in the fall visit here. A trip to Washington is not complete until you have visited the great city of Seattle. 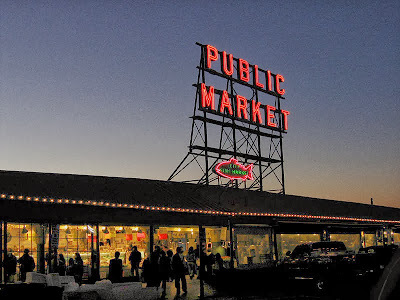 Located 160 miles north of Vancouver, Seattle is one of my favorite cities to visit. With beautiful views of Mt. Rainier along with a visit to the historic Pike Place Market and Space Needle, there are endless things to do in this lovely waterfront city. If you visit in the cooler fall months don't forget your rain gear! If you love the quiet and solitude of small coastal towns and lovely beaches, we have some affordable getaways for you down Highway 101 on the Oregon coast. Also, the rugged coastline can’t be beat for its gorgeous array of scenery. From Cannon Beach to Brookings-Harbor OR, and the many small cities in between, there are a variety of activities of all kinds. Cannon Beach has a beautiful website for you to visit. I love the scenic beauty of this beach, from Haystack Rock to the charming shops there is something for everyone here. A little further south is the charming town of Florence. My favorite shopping area is in Old Town Florence. It is full of fun vintage shops and awesome eateries, such as Waterfront Depot. You’ll find a lovely variety of seafood here as well. 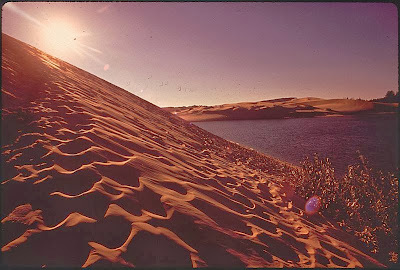 The climate is drier in Southern Oregon, so you might find the that the massive sand dunes of Florence appeal to you. There are many activities on the dunes, so it is well worth a visit. The 40 mile stretch of dunes, from Florence to Coos Bay is known as the Oregon Dunes Recreation Area and it definitely lives up to its name. 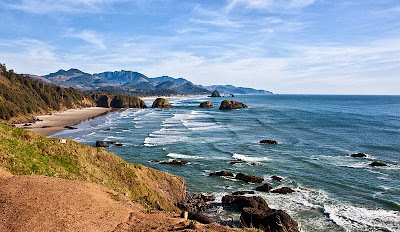 The Oregon Coast also has its share of lighthouses, especially the beautiful Heceta Head located near Florence. The Oregon Coast Visitors Assoc. has a great site with links to all the cities on the Oregon Coast along with great places to stay and points of interest. The beautiful Columbia River Gorge is waiting for you between Troutdale, OR and Maryville, WA. The things to see and do in this area are too numerous to list, so visit the link above to find out more about this wonderful region. You can also visit my earlier post for more images of the Gorge. I would like to mention one of my favorite places to stop in the Gorge Is the awesome Multnomah Falls and their Multnomah Lodge restaurant and lounge. You can see my previous post on the falls here. 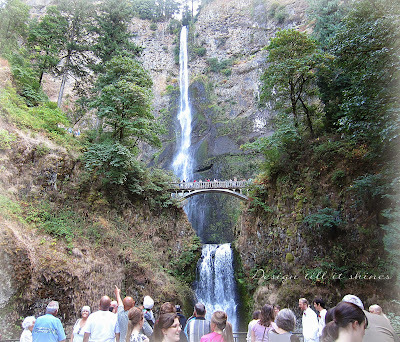 You can also check into the website Multnomah Falls is a Must for some basic background of the area. The pinnacle of all is the majestic Mt. Hood. 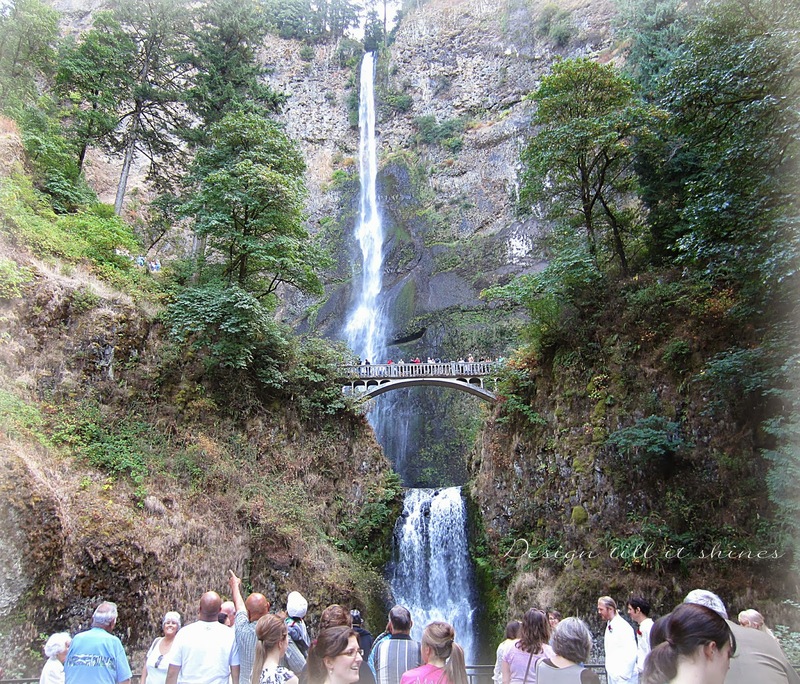 Considered by many to be the crown jewel of the Columbia River Gorge, Mt. Hood is the tallest point in Oregon. 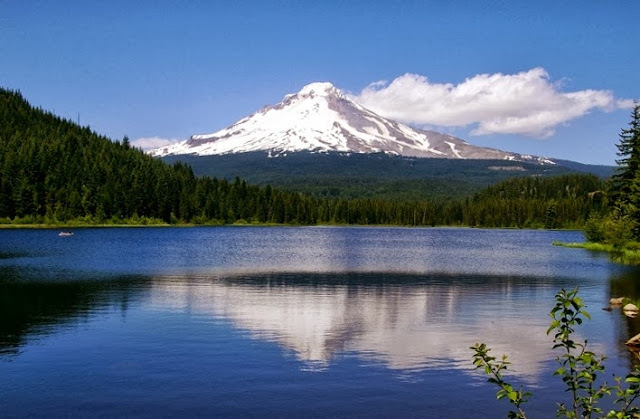 Find out more about this beautiful area at Travel Oregon and the Mt. Hood Chamber of Commerce. It is also one of the most beautiful mountains ever, especially when the snow covers its majestic peak. If skiing, snowboarding and outdoor activities come to mind you will truly enjoy your stay here. You can stay in one of the many affordable cabins in the area or indulge yourself in the beautiful Timberline Lodge. This is just a small sampling of the beautiful scenery in our region, so if you are looking for a relaxing affordable getaway with a variety of outdoor activities, the Pacific NW may be just the place for you. Beautiful photos and mosaic. Thank you for sharing and stopping by. I love both areas. Chicago is fun and vibrant and there's so much to do but if I didn't live in Denver, I would want to live in the Pac NW for sure. In my opinion, you have the better place to call home, Diane! Hello fellow Pacific NW blogger. :) I live in the other Vancouver. But also live in England for part of the year. 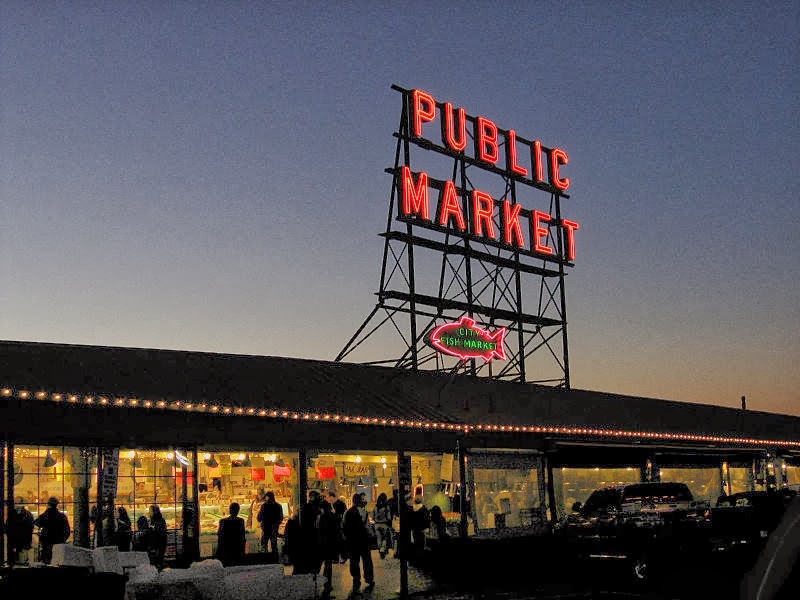 I love your post and especially about Seattle; it's a place we like to visit for the weekend. Hi Diane, I am so happy that you connected with Kendra! She contacted me also and we keep missing each other. I love seeing all of the beautiful pictures and reading about your area. I love OR and Seattle. I have been to the coast and Mt. Hood. Definitely gorgeous! Have not made it to Chicago. Other than the airport. lol! Hope to some day! gorgeous images. Particularly like the fall colour. Thankyou for this tour. One of the great things about Mosaic Monday! and thank you for stopping by my blog this week.